U.S. Xpress's corporate headquarters on Wednesday, Aug. 23, 2017, in Chattanooga, Tenn. This story was updated June 4, 2018, at 10:53 p.m. with more information. A decade after taking the company private, the owners of America's fifth biggest trucking company are preparing to sell more than $300 million of stock and return the company to a publicly owned business traded on the New York Stock Exchange. U.S. Xpress Enterprises Inc., Chattanooga's biggest trucking company still owned primarily by its founding families, announced Monday it will offer more than 18 million shares of stock at an initial price from $18 to $20 per share. 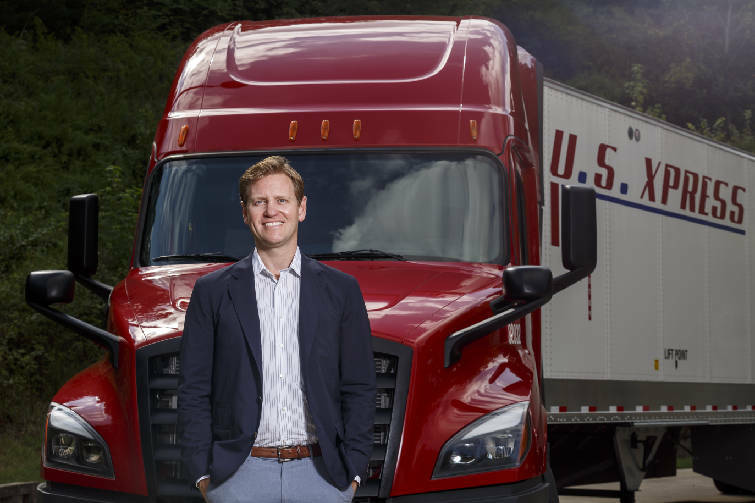 The Chattanooga- based truck carrier, which began in 1986 and was publicly traded on the Nasdaq Exchange from 1994 to 2007, is preparing to issue stock again as the growth of the economy and e-commerce boosts freight activity and truck company valuations. U.S. Xpress CEO Eric Fuller at the company's headquarters. In documents filed with the U.S. Securities and Exchange Commission on Monday outlining the terms of the offering, U.S. Xpress said trucking rates rose 14.4 percent in the first quarter of this year over the same period a year earlier. "The truckload market is cyclical, and it is currently experiencing increases in volumes and rates, primarily due to tightening driver supply coupled with increasing industrial and retail freight demand," the company said. "We believe our scale, management team and continued roll-out of tactical operational improvements, as well as our mix of over-the-road, dedicated and brokerage services, position us for long-term success in our industry." A new federal regulation forcing truckers to digitally track their driving hours with an electronic logging device, or ELD, also is expected to boost to large trucking firms like U.S. Xpress as some independent and small operators leave the business. "Industry observers believe that enforcement of the ELD mandate will reduce the miles driven by certain historically non-compliant carriers, which are predominantly smaller operators," U.S. Xpress said in its filing. "This dynamic is expected to further constrain capacity and encourage a level playing field for carriers that previously offered lower rates to customers and covered their costs and compensated their drivers by operating excessive miles." U.S. Xpress adopted electronic logs in 2012. A rival trucking company also headquartered in Chattanooga, Covenant Transport, has boosted its sales and profits in the past year and Covenant shares up by more than 66 percent from the price 12 months ago. U.S. Xpress said it will issue nearly 16.7 million shares to generate new equity in the company, which last year generated more than $1.5 billion in revenues. Nearly 1.39 million shares will be sold the current owners of the company, who could receive nearly $28 million from the stock issue. In 2007, then co-CEOs Max Fuller and Pat Quinn took the business private. After the death of Quinn and retirement of Max Fuller, their children, Eric Fuller and Lisa Quinn Pate, became CEO and chief administrative officer, respectively, last year. "Over the last three years, we have recruited and developed new executive and operational management teams with significant industry experience and instilled a new culture of professional management," the company said in its SEC filings. "These changes, which are ongoing, helped us to maintain relatively stable profitability during the weak truckload market of 2016 and early 2017 and drive significant improvements to profitability during the strong truckload market beginning in the second half of 2017." In its prospectus , U.S. Xpress said it posted a net loss of $3 million in calendar 2017, down from the $16.5 million the company lost in 2016. But in the first three months of 2018, U.S. Xpress earned nearly $1.16 million, compared with a loss of more than $4.4 million a year ago. As of March 31, 2018, the company had a fleet of about 6,800 tractors and approximately 16,000 trailers, including approximately 1,300 tractors provided by independent contractors. 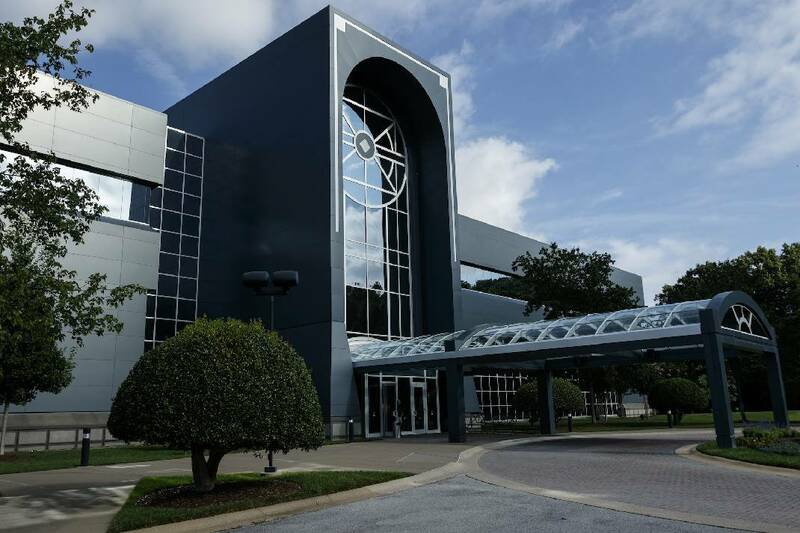 From its corporate headquarters off of I-75 in Ooltewah, U.S. Xpress serves such Fortune 500 companies as Amazon, Dollar General, Dollar Tree, FedEx, Home Depot, Kroger, Procter & Gamble, Target, Tractor Supply and Walmart. BofA Merrill Lynch and Morgan Stanley are acting as lead book-running managers for the upcoming stock offering. J.P. Morgan and Wells Fargo Securities are acting as additional book-running managers, and Stephens Inc., Stifel, and Wolfe Capital Markets and Advisory are acting as co-managers for the offering.